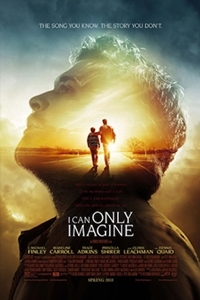 Based on the incredible true-life story that inspired the beloved, chart-topping song, I Can Only Imagine is a song that brings ultimate hope to so many - often in the midst of life's most challenging moments. Amazingly, the song was written in mere minutes by MercyMe lead singer Bart Millard. In reality, those lyrics took a lifetime to craft.